WHITE Flesh Tunnels and Plugs ❘ order now! White is the colour of innocence. We know what you are thinking: "I´m not that innocent..." but anyway white can always be a nice eye-catcher that makes you even more interesting for other people. In opposite to other colours white also has the big advantage that it will perfectly match to any clothing - style. It doesn´t matter if you wear skirts, trousers a dress or any other clothing you may like. Even if you prefer very extravagant colours white jewelry for your ears will always be a good choice. White is the perfect contrast to any colour existing. As already mentioned white tunnels are the perfect ear jewelry in combination with any dress. Although it is such an universal colour there are existing many variations of white tunnels. This way it will never become boring to wear this colour. First of all this colour has a large amount of varieties like pearl white, glossy white, matt white, transparent white and so on. Especially the pearl white is currently very popular. It looks just stunning because of its metallic coloured gloss. Apart from the different kinds of white we also offer a large diversity of different tunnel materials. No matter if yo prefer silicone tunnels, acrylic flesh tunnels, ear jewelry made of steel, bone, wood and stone - we have them all. Just like with the flesh tunnels we also have tunnel plugs made of almost any material. But because tunnel plugs offer more space for design our white tunnel plugs offer even more opportunities for creative, individiual styles. For example you can buy white glow in the dark tunnels. They look just like ordinary white plugs but there is an LED lamp inside that makes them glow in the dark. It doesn´t matter if you take the ones that shine white or the ones that even change their colours, you will always be the eye catcher on any party if you wear them. Our tunnel plugs made of stone are also very beautiful. For this we use opalith stone. It symbolizes strength and purity. Every stone has a unique texture. This makes white stone plugs very individual. 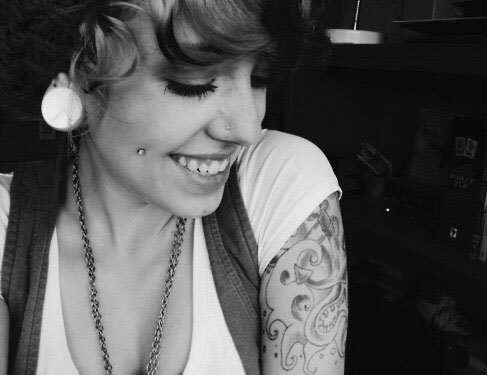 Also a very attractive combination are white flesh plugs gemmed with crystals. You can chose between different colours of crystals. No matter if you select white or any other colour it will always look beautiful in combination with white tunnel plugs.